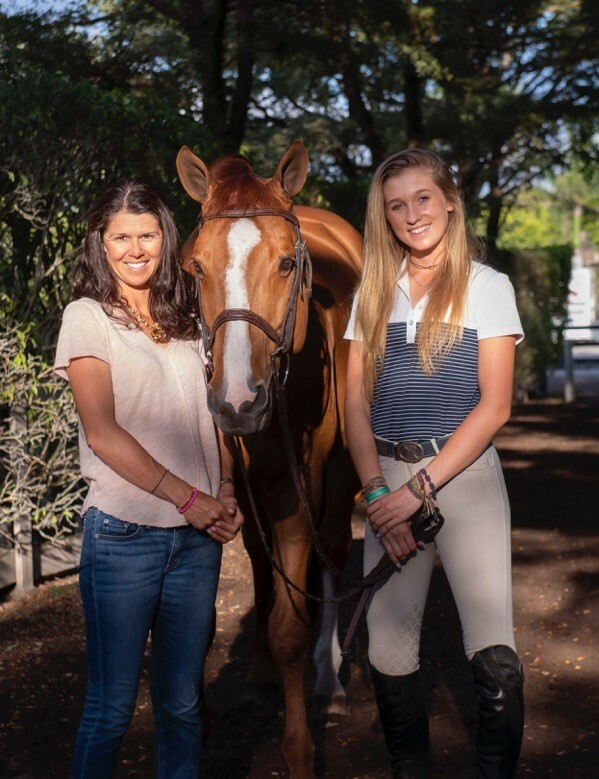 Many riders have dabbled in other disciplines, but not many have experience in the variety of disciplines that Maggie Hill has, and all before the age of 15. Maggie started her riding career in Jackson Hole, Wyoming, where her family lived, riding western in 4-H before moving on to eventing in Pony Club and competing in dressage. As an up-and-coming junior hunter rider, Maggie trains with Jack Towell and Liza Boyd of Finally Farm, based out of South Carolina. 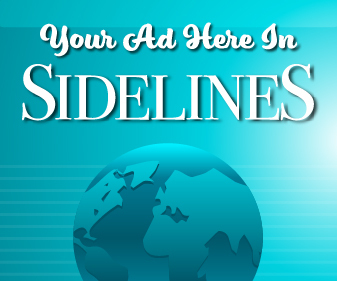 For the past two years, Maggie has completely immersed herself in the hunter world. 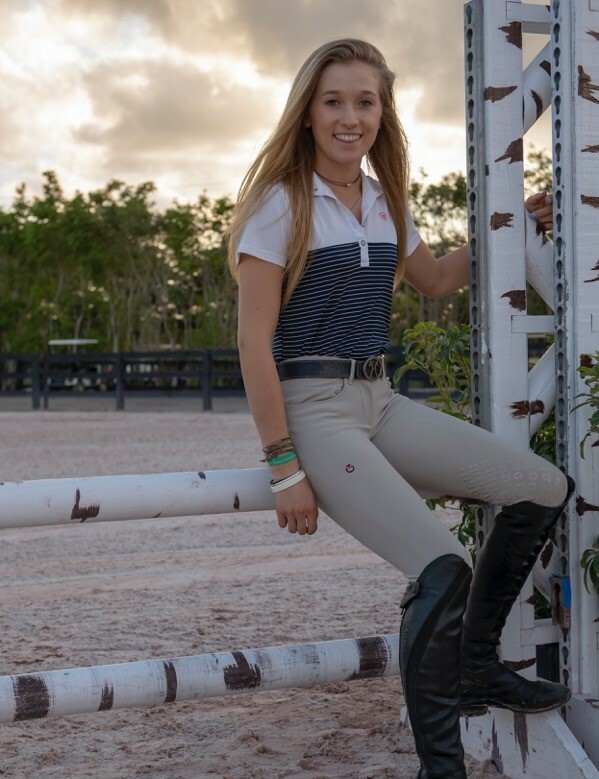 She’s been extremely successful in the junior hunters, equitation and derbies over the past year, with an excellent show season spent at the Winter Equestrian Festival (WEF) in Wellington, Florida. Maggie’s family has always been supportive of her dreams when it comes to riding. 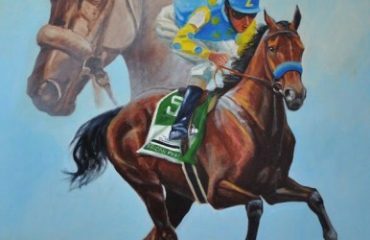 From the very beginning, they saw a true passion in her for horses. 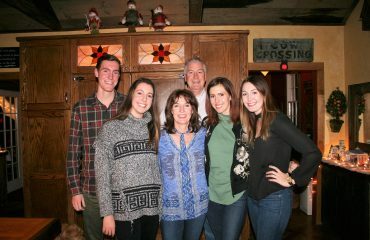 Maggie’s parents, Jane and Tom Hill, along with her sister, Ellie, 11, made the united decision to commit to Maggie’s goals and do what was best for the family in following her as she pursued them. There seem to be qualities about Maggie that play a role in her ability to achieve many of the goals she has set for herself, in such a short amount of time. Her parents and trainer both talk about her working as hard as anyone they’ve seen to become better at something they love. “She is extremely hard working. She will get up as early as you want and is always willing to ride, any day, any time, any horse. She’ll ride all day long and often practices things I haven’t even told her to practice. She rides without stirrups so often, sometimes I have to tell her, ‘OK that’s enough, Maggie,’” Liza, her trainer, chuckled. Maggie balances riding with school, where, as no surprise, she strives for perfection on her schoolwork as well. 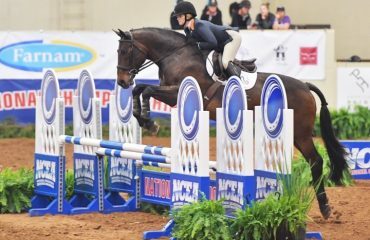 This year she made her debut in the equitation and derby rings, as well as her first time doing the junior hunter 15-and-under divisions, where she finished champion or reserve numerous times. 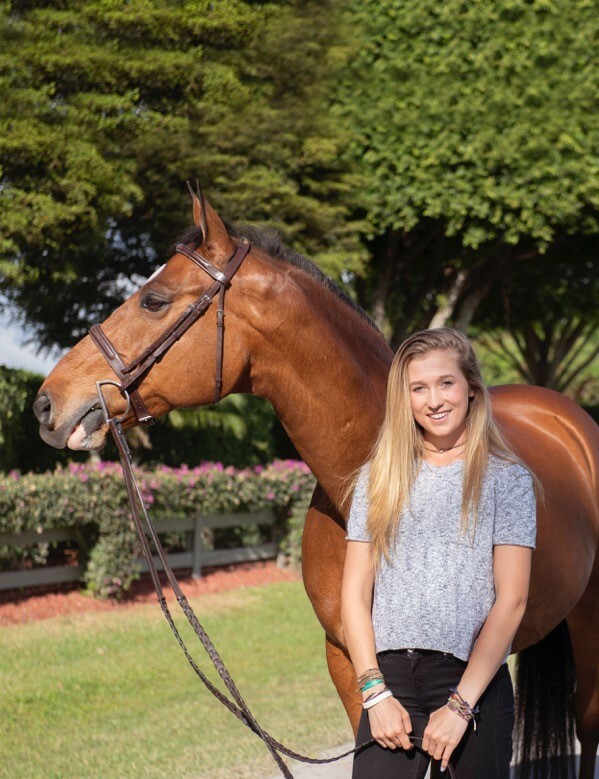 She finished up as the WEF Reserve Champion in the junior hunter 15-and-under with O’Ryan. 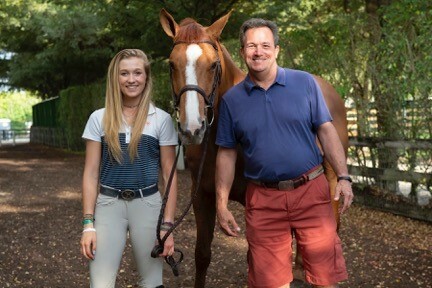 And with her own Cassanto earned the prestigious Martin F. Bucko Family Perpetual Trophy and was Large Junior Hunter Champion, 15 and under at the Devon Horse Show. The commentators from the Hunter Spectacular were very complimentary of Maggie holding her own under the lights with top professional riders. Just a short time later, she competed again at Deerridge in the National Hunter Derby on Charmeur and Shamrock, finishing sixth out of over 100 professional, amateur and junior riders. Being so young and surrounded by so many talented riders, it makes one wonder what she does to prepare herself for these big moments in her riding career.